Do you have a relative or acquaintance who died from a heart attack or cervical cancer? In a well functioning health care system they might be alive today. In Hungary far more have died from treatable illnesses than in other developed countries similar to our own. 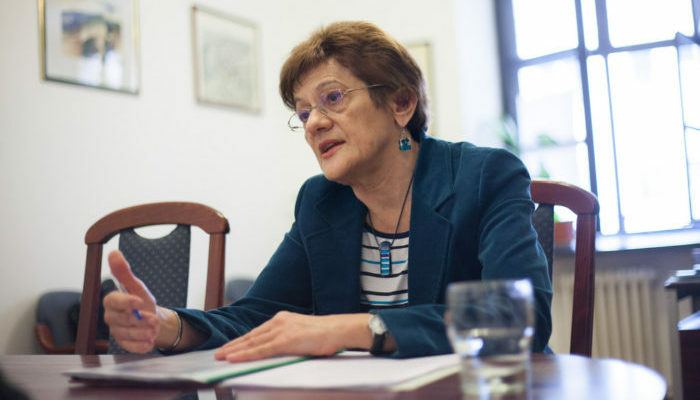 We spoke with Eötvös Loránd University Social Scientist professor Éva Orosz regarding why this is, and how to make Hungary’s collapsing health system more effective. According to the TÁRKI Societal Report written together with your colleage, Zsófiá Kollányi, life expectancy has continuously increased since the middle of the 1990s, but the additional years are spent in a state of poor health. How is this elsewhere? First of all, although life expectancy has increased, we are farther behind the EU15 average and the other Visegrád countries than we were at the end of the 1980s. Related to this is the part of our prolonged life expectancy spent in good health, and in this regard there are large differences between countries. The ratio of healthy to sick years is significantly higher in the Czech Republic than in Hungary and even Austria, which shows that the big disparities cannot be explained merely in terms of economic development. Three things influence the state of health and life expectancy. One is direct risk factors, including how we eat, unhealthy habits , living conditions, pollution and stress. Another factor is our social status as determined by level of education, income and our place in the labor market. The third factor is the accessibility and quality of the health care system. Over the past few decades the importance of the health care system to health conditions has greatly increased. So our life expectancy and the number of healthy years has come more and more to depend on the health care system? Yes, because of technological improvements. In the 1970s there were far fewer opportunities to cure illness. There are international studies which show that roughly 50 percent of the increase in life expectancy in developed countries over the past twenty years has been due to improvements to the health care system. Of course, this is just an estimate but it clearly shows the extent. Life expectancy in Hungary has also grown but far less than in the majority of European countries. The health care system is largely responsible for this, otherwise there would not have been 400 preventable deaths for every 100,000 people in 2013, amounting to some 30 percent of deaths. Based on international expert consensus there are illnesses which theoretically should not cause death in people up to a certain age (generally 75 years) in well functioning health care systems. Part of these are preventable, the other part is treatable. Together they make up the class of preventable deaths, including, among other things, tuberculosis, diabetes, high blood pressure related illnesses, and a number of heart and circulatory illnesses, as well as certain illnesses involving tumors. The ratio of preventable deaths is usually expressed per 100,000 inhabitants. Of course, nowhere is it zero but where health care works well this number is low. In our case it is expressly high. In what illnesses do we have a bad standing? Heart and circulatory disease, as well as illnesses involving tumors. For example, cervical cancer is considered a preventable death if diagnosed early. And yet nearly three times as many Hungarians die of this than the EU15 average. But I might add heart attack as well, where our standing is four times worse than the EU 15 average. But it is not only the health care system that is to blame, but bad eating habits and smoking. Is it possible to estimate how large a role the health care system plays in this? It is not possible to completely distinguish these from one another, because a good working prevention program influences our eating habits as well as our harmful passions. But if we are strictly interested in the rule of health care, let’s look at preventable deaths. These are illnesses which can be cured or managed over time with good health care. In 2013, for every 100,000 residents, 245 such patients died, whereas in Slovenia that number is 118 and in Portugal 1o4. The economic development of these countries as expressed in per capita GDP is 15-20 percent higher than Hungary. The quality of our health should be similar. First of all, they spend a higher percentage of GDP on health care. In our case last year it was 4.7 percent, while in Portugal it was 5.8 percent and Slovenia 6 percent. Since the 1990s we have been devoting less and less public money to health care in comparison to the EU15 average, while the neighboring countries made continuous improvements. Furthermore, resources spent on health care are not used efficiently. There are unacceptably large disparities in access to health care and quality of care. Let’s take them in that order. Why isn’t the money being used effectively? Hungarian health care is like a seriously sick man who simultaneously suffers from a number of chronic illnesses, and for this reason requires continuous therapy over a long period merely in order to stabilize his condition without curing it. Instead, over the past two decades the patient has only received treatment from various doctors, who frequently change, for one illness at a time, the effect of which is to make the other illnesses worse. In other words, since the [political] system change the governments have only been thinking short term, and have under-appreciated the role of education and health care in terms of the country’s development. Let’s look at one example: Over the past thirty years it has often been written that our network of hospitals is based on 1970s technology, even though many illnesses can now be treated outside of hospital, or in a manner requiring shorter periods of hospitalization. Hospitals offering high-quality treatment could offer much more effective treatment. But they still have yet to restructure the hospital network. Closing hospitals is difficult politically. A complex plan was never developed to make people understand that a more concentrated system of treatment, involving hospitals that are farther from where they live but which contain all the necessary specialists and expert teams experienced in treating the most serious illnesses, would be more efficient. There was a decrease in the number of hospitals but they mostly involved decreasing the capacity of existing hospitals. Moreover, in the place of superfluous hospitals it is necessary to provide outpatient treatment or emergency treatment instead of simply closing them. How many hospitals exist for which there is no need in their current form? According to experienced experts, 45-50 hospitals providing active treatment would be sufficient, providing nursing homes were operated in tandem and there was adequate home nursing. Just think how much money goes towards the maintenance and operation of hospitals even before they treat a single patient! In the case of a more concentrated treatment, the money could be divided among fewer institutions, and there would not be such a shortage of nurses or doctors, either. Let us continue. Why isn’t money used efficiently? The fact that prevention (information and early detection pertaining to a healthy lifestyle) does not reach the poorly educated in greatest need of it is a big problem. The reason for this, apart from the lack of long-term, complex public health care programs, is that there are not enough general practitioners and specialists in the poorest parts of the country. And even where there are, often there is a large cultural divide between health care workers and those requiring their services most often. What do you mean by “cultural divide”? You have to communicate differently with a middle-class patient than with poorly educated ones. Trust only forms between a doctor and patient if the two are capable of understanding one another. If, however, the health care worker is only capable of communicating with members of the middle-class, then he or she will not be able to influence the habits of the poorly educated. Naturally there are exceptions but this is problem that can be measured throughout society. The shortage of general practitioners is worse in those regions that would need them the most. The number of unfilled general practitioner positions in the middle of 2016 was 258, 2.5 times that of 2001. How does that impact preventable deaths? Certainly, the numbers would improve if these people could gain timely access to treatment or be referred to specialists, if necessary. By contrast, in Hungary’s case patients often traipse around the system for a long time, and for this reason arrive to the appropriate place in worse condition and with fewer chances of treatment. In technical language, the way of managing patients is lacking which elsewhere forms the basis for the work of trained experts. Related to this is the fact that the health care services provided by general practitioners is much lower than it could be. One of the causes of this is the fact that modern perspectives are missing that would allow general practitioners to work together as a team supported by adequate quality control. Does not the fact that general practitioners prefer writing prescriptions and references to curing adversely impact the efficient use of money? Unfortunately, they have yet to make a study of how many general practitioners actually perform the work of general practitioners, that is treat chronic illnesses, or perform a general examination of patients once a year. Even so there is plenty of information to show that there are big problems. Illnesses exist which rarely require treatment in hospital, because patients can be treated by a well functioning general practitioner and out-patient treatment. This includes, for example, asthma and other chronic respiratory illnesses. The number of such patients per 100,000 which end up in hospital in Hungary is a vast multiple of that of numerous western European countries. This ties down resources that could be used to treat patients whose condition can only be treated in hospital. Furthermore, hospitals are interested in patients spending as much time as possible at hospital, which also ties down resources, does it not? This is rather true for chronic departments whose funding is based on treatment days. There, hospitals and doctors expecting tips are really interested in keeping older patients in hospital for far longer than necessary. On the other hand, this is also because home treatment is under-developed. In the field of hospital treatment a much more serious problem is that we provided in-patient treatment for those who are treated and immediately released in other western European countries, or treated the same day they arrive to hospital, as in the case of gall-bladder surgery. Would money be used more efficiently if the running of hospitals and health care was not entrusted to doctors but rather economic experts? In many cases doctors have been trained in health care management, and there is an economic director by their side as well. The preparation is less interesting than the interests of the hospital management. 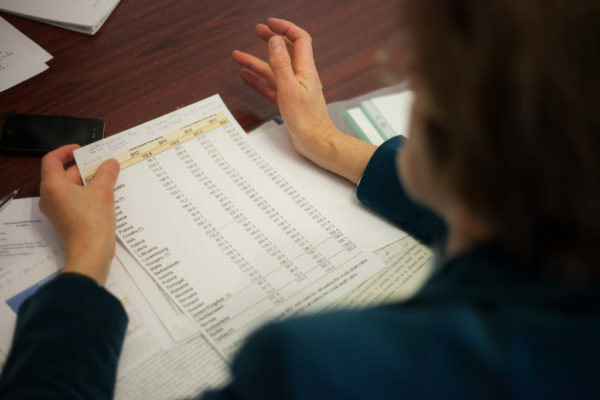 Is hospital management interested in improving the hospital’s quality indicators? It is possible to measure the degree to which a hospital provides good and effective treatment. If, for example, management compensation also depended on this, then the situation would improve. Presently hospital directors pay attention to keeping hospital budget deficits to a manageable level, which is understandable because basically the health care fund does not pay hospitals enough to cover the actual cost of the treatment. In other words, it is impossible to properly operate a hospital today in Hungary without running up debts. For this reason, improving efficiency requires thinking on a systemic level rather than a hospital level. Until then, management is facing an unsolvable problem. So, it is necessary for us to close a number of hospitals, which should be converted to nursing homes and specialist out-patient clinics, where general practitioners working in teams can cooperate. Moreover, it is necessary to reorganize the way patients are managed, and large, well-equipped hospitals are needed for the treatment of truly serious cases. Furthermore, it is necessary to reform the hospitals and the interest relations of hospital management. But we haven’t even spoken about the most serious problem, which is the dramatic underpayment of doctors and health care workers. The same pertains to the ambulatory service workers as well. This is really only a question of money. It cannot really be separated from structural changes, about which we have already spoken. Without a radical increase in salaries, no reform will achieve results in public health care. In vain do hospitals have the most modern technology if they are missing doctors or technicians who know how to operate it. If all they did was raise salaries, then it would reduce frustration of public health care workers, but health care would still not be sustainable in the long run. Whatever aspect of health care we look at, be it ambulatory treatment, outpatient treatment, or hospital treatment, we encounter the same problems of a structural nature, lack of coordination, conflicting interests and insufficient income.